Welcome. 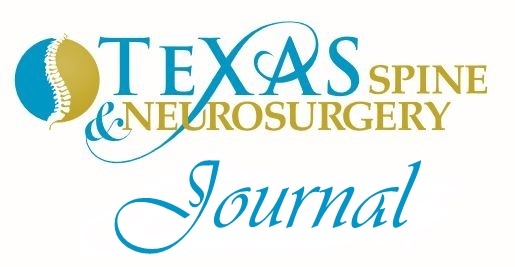 This is the Third issue of the Texas Spine and Neurosurgery Journal. Our goal is to aid and inform family doctors and community providers as well as their staff. We want to help practitioners treat their patients with spine and neurosurgery issues. This news causes pain in itself: prescribers for years have exposed pediatric patients to more risk from a “safer” medication than morphine and synthetic opioids? (The lawyer ads are sure to come soon.) To what extent could this be a problem? In 2014 alone, nearly 167,000 children received prescriptions for tramadol and 1.9 million received prescriptions for codeine-containing products. 2 Each of those prescriptions represented a judgment call by the prescriber that the C-IV tramadol and C-III codeine (or C-V codeine compound) would offer sufficient relief with fewer risks than a C-II medication. So now, what is left to use, and why the sudden verdict? The “why” first: The data summary for codeine in the FDA publication listed 64 reported cases of respiratory depression from 1969-2015, with 24 deaths. Twenty-one of those were children younger than 12, and the majority were given the medication for post-surgical pain. Ten of the 64 cases noted the patient’s cytochrome P450 2D6 genotype: five of seven patients possessing “ultra-rapid” metabolism died, with one death between the three “extensive” [normal] metabolizers. What happened? “Ultra-rapid” 2D6 metabolizers comprise 1-2% of the general population (5-10% of the Caucasian population alone) and their systems, in this instance, changed more codeine to morphine much faster than the general population of “extensive” [now re-named “normal”] (77-92%), “intermediate” (2-11%), and “poor” (5-10%) metabolizers. 3 This flood of morphine overwhelmed the patients’ respiratory systems, sometimes after only one dose. One cause of infant death listed high levels of morphine in breastmilk due to the mother’s ultra-rapid metabolism of codeine. In the tramadol data, nine cases of respiratory depression were reported worldwide, with three deaths all occurring outside the U.S. in children less than 6 years old. These deaths occurred with tramadol oral solution (100 mg/ml, usual dose 4 ml/day), not available in the U.S. Only one case mentioned the 5-year-old patient’s 2D6 status as “ultra-rapid”: he was resuscitated after one dose of tramadol for post-surgical pain. In most cases, respiratory depression from tramadol use occurred within 24 hours of first dose. The warning against tramadol use for breastfeeding mothers comes from data showing that 75% of tramadol and its active metabolite are excreted into human milk. “The effect of this exposure is not known,” 2 and no reports of infant death have surfaced. But this itheoretical harm to the infant after ingestion of a recommended dose by the mother prompted the FDA advisory for this patient population. So what is safe to use for post-surgical pain in pediatrics, or for anyone who might be an ultra-rapid metabolizer and not know it? Opioid analgesics not metabolized by 2D6, such as morphine, hydromorphone, oxymorphone, buprenorphine, and fentanyl, should be safer when ingested by ultrarapid metabolizers for FDA-approved indications. Opioids are also listed as appropriate for children when dosed per weight for moderate to severe pain not relieved by non-opioids. 4 Hydrocodone (metabolite: hydromorphone) could still “theoretically” accumulate in ultra-rapid metabolizers, but at this time the evidence available “does not present enough information to conclude that the rate in which it is metabolized is a factor, as is the case for codeine.” 5 But even where indicated and deemed medically safe, opioid therapy may be rejected by patients and caregivers aware of the high rate of adverse effects. In this writer’s experience, the vast majority of patients picking up their opioid prescriptions for acute surgical pain are highly suspicious of the effects of the medication. NSAIDS are, of course, an option, and several studies have shown that ibuprofen alone is as effective and safer than opioids for pediatric orthopedic injuries; and with acetaminophen, as effective as morphine plus acetaminophen after pediatric surgery (tonsillectomy/adenoidectomy). Combining acetaminophen with an NSAID for post-operative pain proved better than monotherapy in a large systematic literature review; 6 however, a subsequent study in children did not show the same benefit over monotherapy for post-surgical tonsillectomy pain.7. Beyond NSAID and acetaminophen use, the options for physicians unwilling to prescribe opioids for post-surgical pain are now sharply limited in the pediatric population with these restrictions on tramadol and codeine use published in April. Reports of hypoglycemia, elevated risk of seizures, or serotonin syndrome with tramadol (particularly with concurrent SSRI therapy) may also generate stronger warnings in the near future against use in the geriatric population. For those physicians prescribing opioids, continual patient assessment, clear communication with caregivers regarding expectations and limitations of analgesia options, and close follow up after surgery will be necessary to safeguard their own liability now that tramadol and codeine are “safe” no longer. 1 Tobias JD, Green TP, Cole CJ; Section on Anesthesiology and Pain Medicine, Committee on Drugs. Codeine: time to say “no.” Pediatrics 2016 Oct;138. 2 FDA Drug Safety Communications, April 20, 2017. 3 Dean L. Codeine Therapy and CYP2D6 Genotype. 2012 Sept 20 [Updated 2017 Mar 16]. In: Pratt V, McLeod H, Dean L, et al., editors. Medical Genetics Summaries [Internet]. Bethesda (MD): National Center for Biotechnology Information (US); 2012-present. 4 Wong c, Lau E, Palozzi L, Campbell F. Pain management in children: part 1-pain assessment tools and a brief review of non pharmacological and pharmacological treatment options. 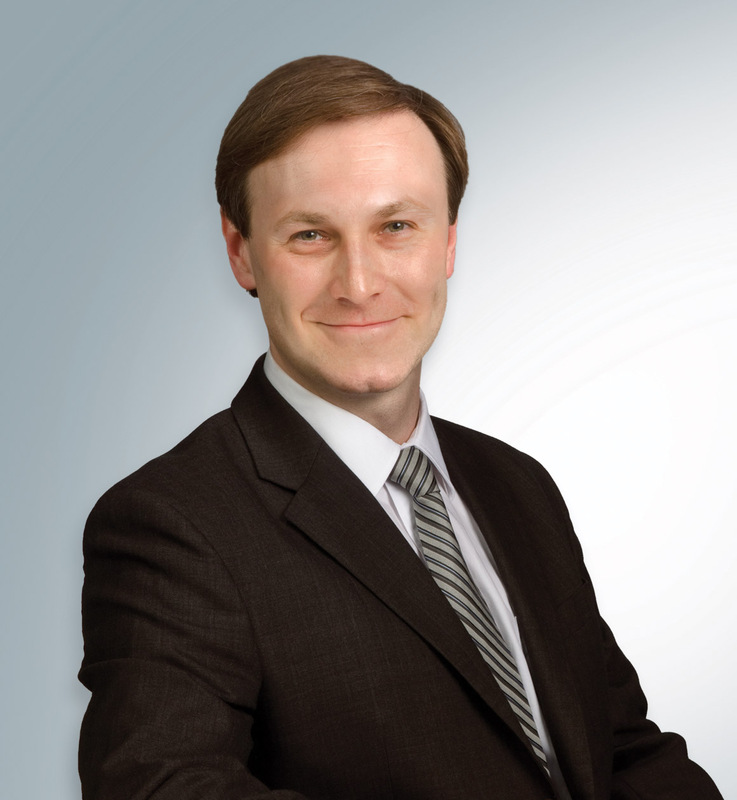 Canadian Pharmacy Journal 2012;145;222-5. 5 Health Canada. Summary safety review. Codeine-containing products. Further assessing the risk of serious breathing problems in children and adolescents. July 28, 2016. 6 Ong CK, Seymour RA, Lirk P, Merry AF. Combining paracetamol (acetaminophen) with nonsteroidal anti-inflammatory drugs: a qualitative systematic review of analgesic efficacy for acute postoperative pain. Anesth Analg 2010;110;1170-9. 7 Merry AF, Edwards KE, Ahmad Z, et al. Randomized comparison between the combination of acetaminophen and ibuprofen and each constituent alone for analgesia following tonsillectomy in children. Canadian Journal of Anesthesia 2013;60;1180-9. In the area of spinal surgery or any surgery that requires bony fusion; electronic stimulators are used either externally or internally. The body will inherently create its own electrical field for bone healing once a bone is broken. Stimulators are used to enhance the body’s natural bone healing process by providing that same electrical field. This is an essential process to ensure that a spinal fusion is successful. During a spinal fusion, multiple fragments of bone are used to create a one solid bone over time and can take over 1 year to fuse but will continue become more solid for year to come. Candidates for electrical bone growth stimulators include patients that have a multi-level fusion, a previously failed fusion, history of smoking, or that have a diagnosis of a Grade III spondylolisthesis. Other factors that may result in benefit of an electrical stimulator would be patients with osteoporosis, vascular disease, obesity, diabetes, renal disease, alcoholism, or vitamin deficiency. Factors not to use an electrical bone stimulator are women that are pregnant, patients with certain types of pacemakers, and patients with a history of cancer. Internal bone growth stimulators are typically approved by commercial insurances for multi-level lumbar fusion or patients that have had previously failed fusions. An internal bone stimulator has a battery that is implanted just under the skin with leads that trailing to the spine that provides small electrical currents directly to the area of the spine where fusion is needed. The battery of the device can sometimes be felt under the skin but the electrical currents are not sensed by the patient. Most implantable bone growth stimulator batteries have a life span of about 8 to 10 months and are able to remain in place for advanced imaging scans such as MRIs. The battery can be left in place indefinitely but can be removed due to discomfort in the patient or if is poses a problem for advanced imaging. Patients should be given a device implant card with the contact information for the device manufacturer so that other facilities can get the safety regulations needed for imaging. External bone growth stimulators are recommended for patients that do not get an implanted stimulator. Patients that have cervical spine fusions typically are approved for the external stimulator if they have any medical factors that would lead to a decrease in the rate of fusion post-operatviely. When an external bone growth stimulator is prescribed, it will be worn for a specific amount of hours during the day in order to fit into the patients’ schedule. They are typically worn for a period of 3 to 9 months after surgery but will sometimes be prescribed for over a year after surgery if the patient does not show signs of good bone growth. They are mostly lightweight and like their internal counterpart, do not produce any sensation on the patient when on. The only drawback to external bone stimulation is that it is completely reliant on patient compliance. Patients are asked to speak with their surgeon about the risks and benefits that an electrical bone growth stimulator may have for them prior to having a procedure performed. By: Bethany GrayAs late as 1953, cigarette companies were using slogans suggesting that their products were not only safe, but doctor recommended. Pages upon pages in magazines were dedicated to showcasing how cigarettes would clear up your “t-zone”, make men seem more masculine, and help women feel more attractive. Of course, now that the general public has a better understanding of the detrimental effects cigarettes have on one’s health, these ludicrous claims are now laughable. But, despite increased awareness concerning the adverse effects of smoking, more than 3,200 people younger than 18 years of age smoke their first cigarette every day. Somehow, neurosurgeons are still repeatedly having to all but beg their patients to quit smoking and are constantly being forced to combat the complications caused by smoking. In a review of neurosurgical literature, Lau, Berger, and Maa (2013) found evidence that cigarette smoking causes a host of preventable problems, including cellular injury, dysfunctional blood vessels, delays in wound healing, increased risk of infection, excessive intraoperative blood loss, and adverse cardiopulmonary effects. When researching cranial surgery specifically, they found the literature names cigarette smoking as the root of many patients’ intraoperative blood loss and postoperative complications. Patients who smoke have significantly lower rates of 1-year survival when compared with those who do not smoke. They also found that patients who quit smoking before surgery did not have the higher risks of complications and 1-year mortality. They also found research to suggest issues caused by smoking cigarettes in spinal surgery as well. Lau and his colleagues found a strong association between cigarette smoking, heavy blood loss during surgery, and requiring a blood transfusion during surgery1. While smoking is a nuisance to healthcare providers and is life threatening to patients, it is also costly to the economy in several ways. In the US alone, the habit accounts for over 300 billion dollars in healthcare and lost productivity. About 170 billion of this goes towards direct medical care for entirely preventable sicknesses cause by firsthand and secondhand smoke2,3. Fortunately, between negative press, unfavorable stigma, and increased awareness concerning the risks, smoking is on the decline. People are beginning to actually listen to their doctor’s advice. It is ultimately up to the individual to quit, but healthcare providers can help their patients wade through some of the junk science they may find online and assist them create an individualized cessation plan. The problem is far from solved, but future of smoking (or the lack thereof) seems promising. 1) Lau D, Berger MS, Khullar D, Maa J. The impact of smoking on neurosurgical outcomes. A review. Journal of Neurosurgery, published online, ahead of print, June 28, 2013; DOI: 10.3171/2013.5.JNS122287. 2) U.S. Department of Health and Human Services. The Health Consequences of Smoking—50 Years of Progress: A Report of the Surgeon General. Atlanta: U.S. Department of Health and Human Services, Centers for Disease Control and Prevention, National Center for Chronic Disease Prevention and Health Promotion, Office on Smoking and Health, 2014 [accessed 2017 Feb 28].